So when thebar.com challenged me to create a cake recipe based on one of their cocktails, I jumped at the chance. I thrive on a challenge, and absolutely love Halloween, so this combo was perfect. Some of my favourite recipes recently have been my take on classic drinks, and they always seem to go down well with my tame tribe of cake testers. They gave me a list to pick from, all of which sounded right up my street to be honest, but I changed my mind on the last minute from a Zombie bundt to a Smirnoff Ghoul's Goblet. The ingredients in this drink lend themselves perfectly to a delicious cake. 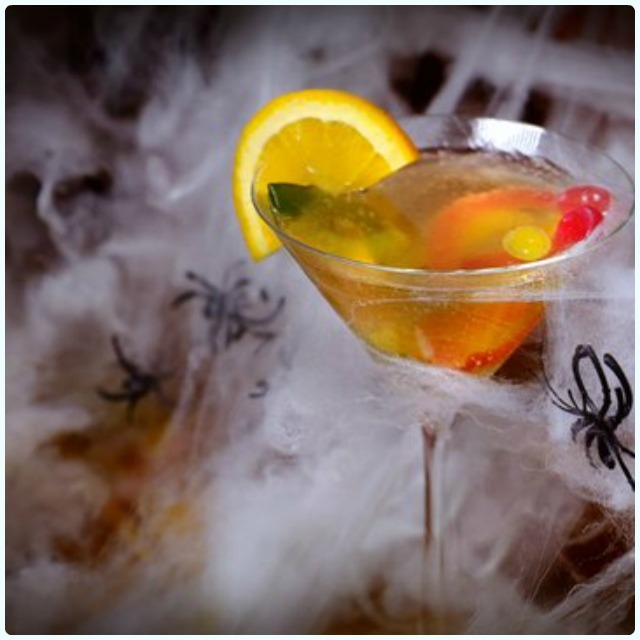 Vodka and ginger with a citrus twist are my idea of cocktail perfection. If you want to make the drink version, I've added a link to the recipe above, however if you would rather stuff your face with cake, follow this instead... (my personal recommendation would be to do both). 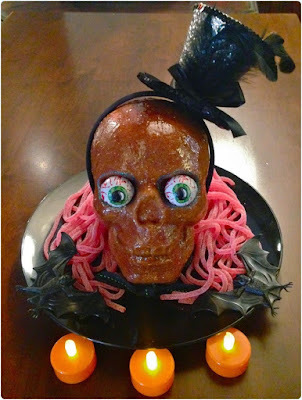 This recipe is the right size for a standard bundt tin, or two 2lb loaf tins, however I urge you to find one of the spooky options out there like my 3D skull tin! These are available from Nordicware. Jelly worms, snakes or laces to decorate - the choice is yours! Grease and flour a regular sized bundt tin (2.4l, 10 cup, 10 inch - or see options explained above). Add the zests and the vodka to the ginger ale, and give it a good stir. Tip: at this stage it will look like death. Breathe... it will all magically work when whizzed up. Give the whole thing a quick mix for about 10 seconds or until well combined. It will no longer look like a zombie threw it up. Allow to cool fully before glazing. To make the glaze, warm the marmalade in the microwave until runny - keep an eye on it though, and do not touch it! It'll be hotter than hell... Brush it over your cake for a lovely orange flavoured glaze. Surround your creation with as many jelly worms, fake bats, top hats or spiders as you see fit. Disclaimer: This post was written in conjunction with thebar.com. 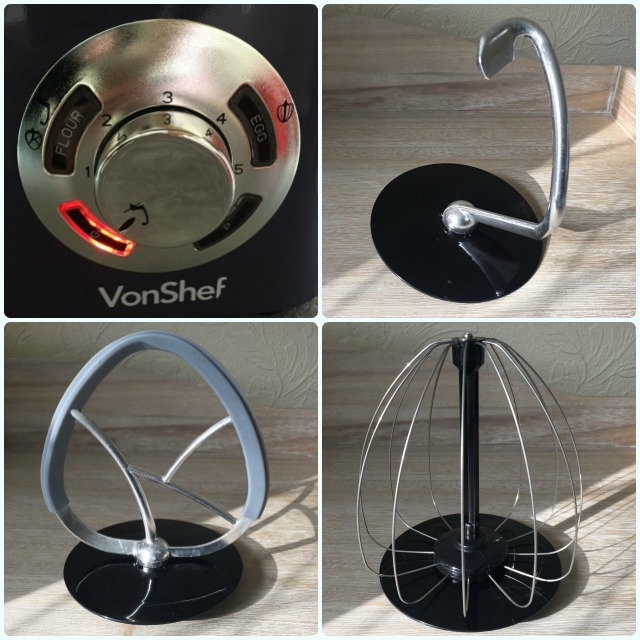 I was recently approached by Domu.co.uk to review one of their VonShef stand mixers. It's like they had hard my recent conversations... A friend and I were discussing the astronomical cost of stand mixers after her sister-in-law's bit the dust, prematurely. Just like its competitors, this one is available in a range of different colours (11 to be precise), and follows the same format of multiple attachments, variable speeds and a whole lot of power. So I put it through its paces. 1200W motor and planetary action. Chrome dough hook - for mixing dough and heavier cake mixes. Silicone flat scraper beater - for whisking egg whites, creaming butter and sugar, mixing lighter cake mixes and ensuring ingredients don’t stick to the bowl. Chrome balloon whisk - for cream, egg whites and light batters. Splash guard which fits around the bowl. 5.5l stainless steel mixing bowl (2kg max. mixture preparation and 5 litre liquid capacity). Silicone lid and a dust cover with storage pocket to keep the stand mixer protected when it’s not in use. Non-slip rubber feet to stop it moving when in use. The dial and locking mechanism feel sturdy, and I particularly liked the fact that you can either pick a speed setting by number, or by selecting 'flour', 'egg' or 'P' for pulse. These illuminate when selected, and show which beaters may be used. I loved the little suckers on the base of the mixer, which prevent any unwanted movement, therefore making it safer too. The only obvious difference in build quality is the outer casing is made from heavy plastic rather than metal, but so is the Kenwood Titanium Chef. In terms of beating, it's not too loud, and has enough power to beat you butter and sugar into a fluffy mix in minutes. 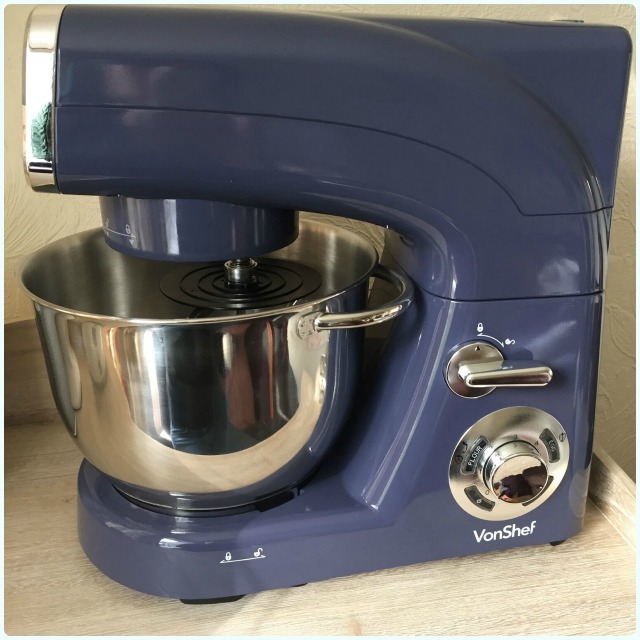 A little while back, I did a comparison of the two most popular mixers amongst my baking pals (see the full article here). I've done a quick comparison for you below. As much as I love my pink Kitchenaid (incidentally, the VonShef is available in baby pink too), I have to say that I would think twice about spending £400 on another, when there are such cost effective alternatives. I'd definitely recommend this mixer based on my own experience. It's about time there was a more cost effective, yet stylish alternative. See the mixer on the Domu website here. Disclaimer: I was sent a mixer to review. I was not asked to write a positive review - Domu were interested in my honest feedback. 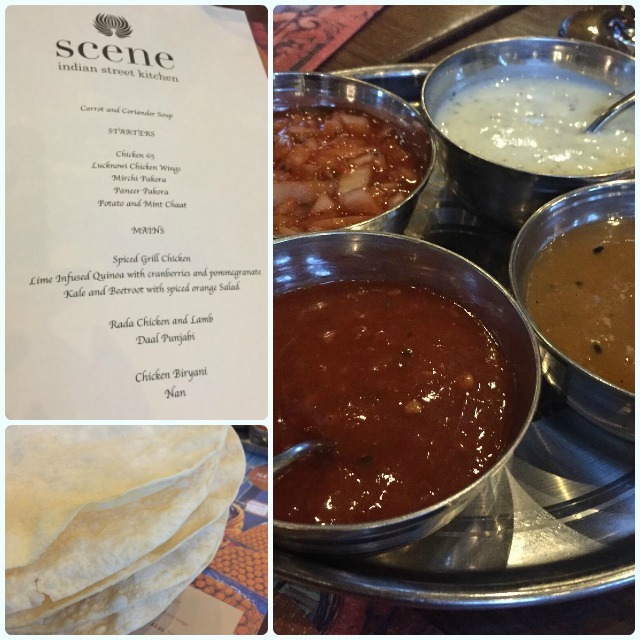 I've been a bit of a fan of Scene since I first visited back in May last year. Lee and I had been shopping and ordered so much food that it would have easily fed four. Last December we went en masse for our work Christmas Do, and once again, ate so much food that we had to call it a night at about 10pm, declaring ourselves too full for cocktails. 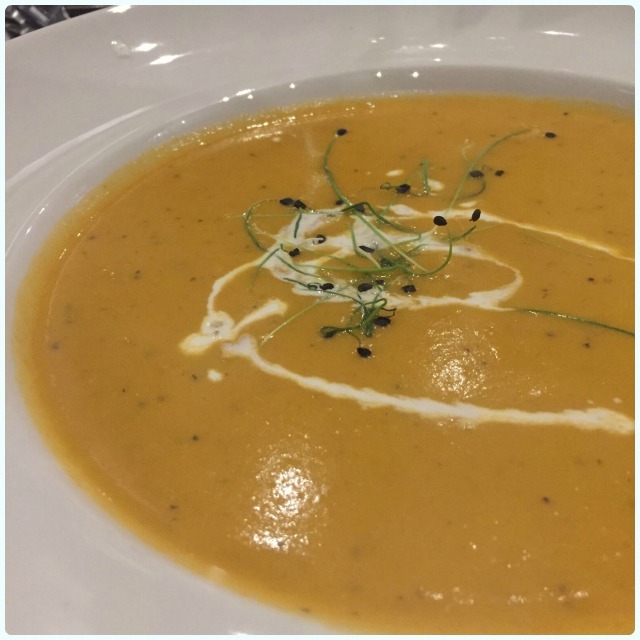 A couple of weeks ago I was invited to go and try out their new superfoods menu, which was created by executive chef Sudesh Singh and celebrity Nutritional Biochemist, Jeannette Jackson. Both were on hand to explain the menu, and how it had been developed. These new offerings promise 'a special focus on superfoods and healthy eating to nourish the mind, body and soul'. Let's see what they've got then. First up was the obligatory poppadoms and dabba. I'm not sure how they fit into the superfood category, but they were very welcome all the same. We were starved. 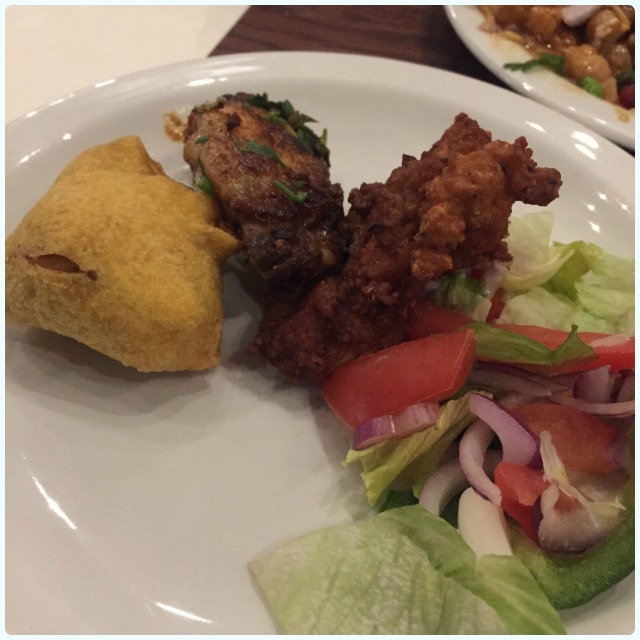 Chicken 65, Lucknowi chicken wing and paneer pakora: A nice little selection of starters, my favourite being the paneer, although again, I'm not sure how much of a superfood fried cheese is. Potato and mint chaat: Loved this dish. Just look at it, I couldn't wait to dig in. 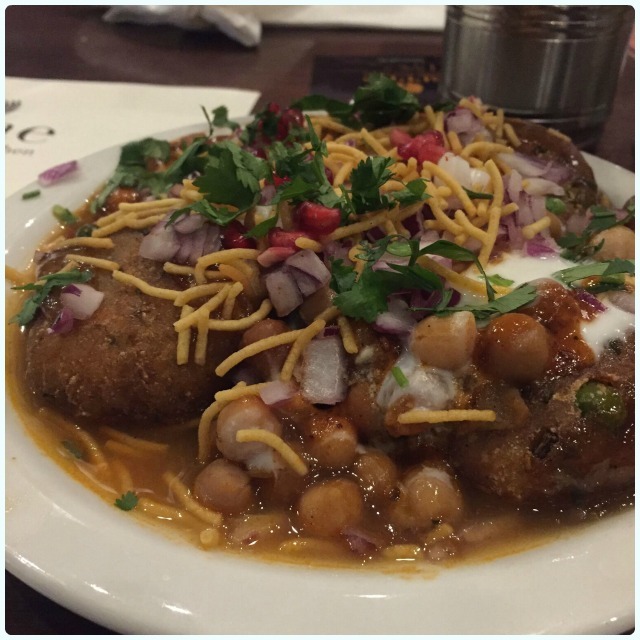 Lots of protein in the chickpeas, bursting with colour and a subtle minty flavour in the potato chaat. Mirchi pakora: One of my favourites. A green pepper filled with 'Scene's special stuffing'. I have no idea what this was, I just know that I liked it. 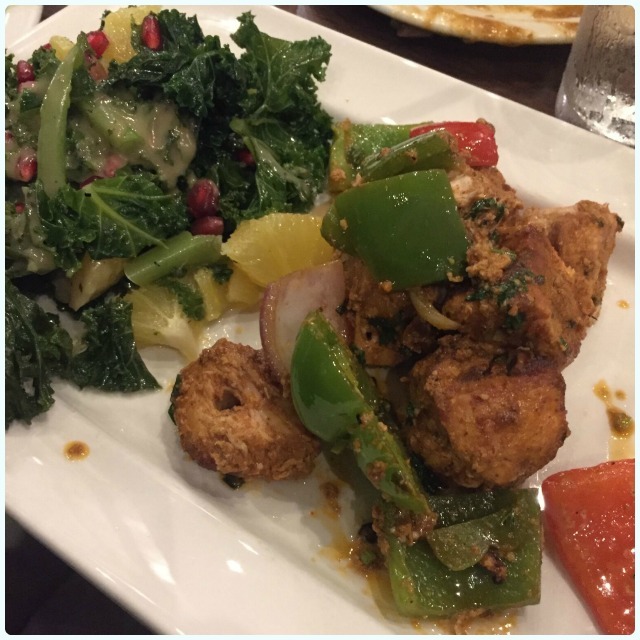 Spiced grilled chicken, and kale & beetroot with spiced orange: This chicken was fantastic. Really nice depth of flavour and still very moist. Luckily for me, it seems someone forgot to add the beetroot (mortal enemy) to the salad. Bonus! 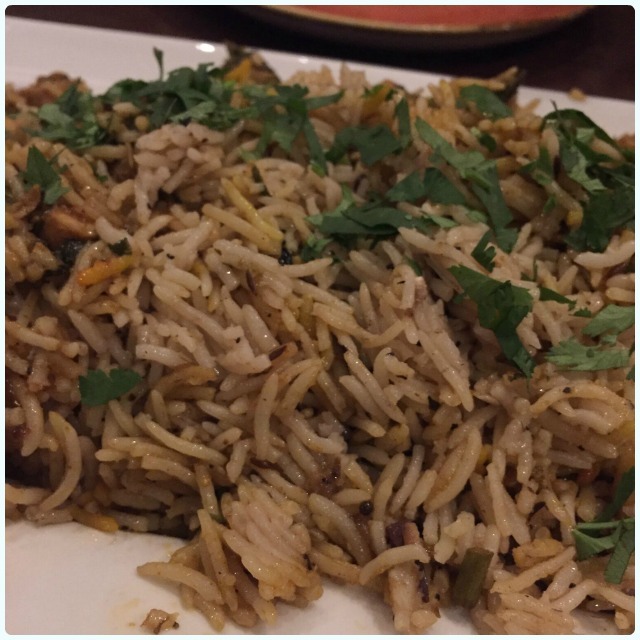 Chicken biryani: My absolute favourite dish. I love a good biryani. Mix this with the daal and scoop it up with that soft nan bread. Heaven. Nan: So simple, yet often got so wrong. 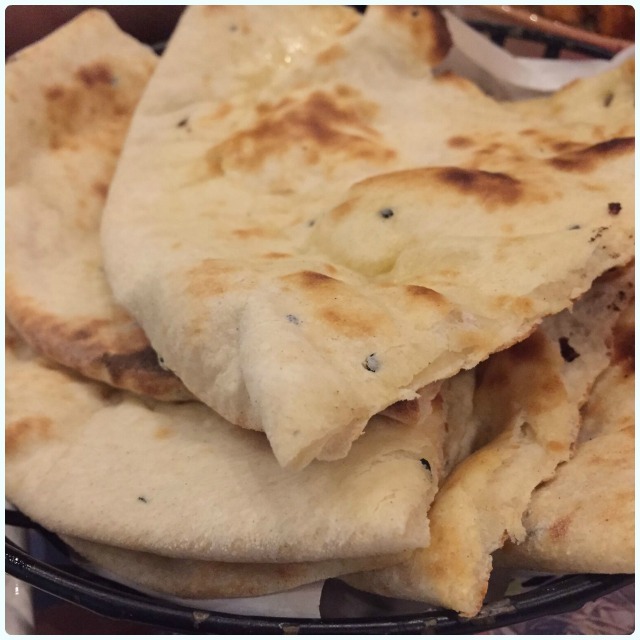 This was perfect, soft and fluffy, and warm from the tandoor. 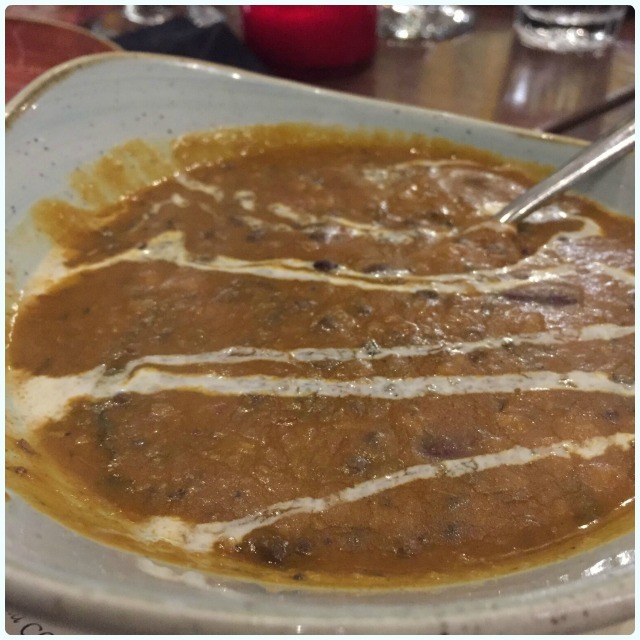 Daal Punjabi: Very popular on our table, this one. My mouth is watering remembering how well this went with the two dishes above. I could eat this every day. At least once. It was quite a long evening, and not a natural way to try the dishes to be honest, however, we enjoyed everything we ate. There's quite some competition in Manchester now in the realms of Indian food, so it's interesting that Scene are trying to appeal to a different market. Healthy isn't a word that I would have associated with Indian street food before, so I'll be interested to see how this one pans out. 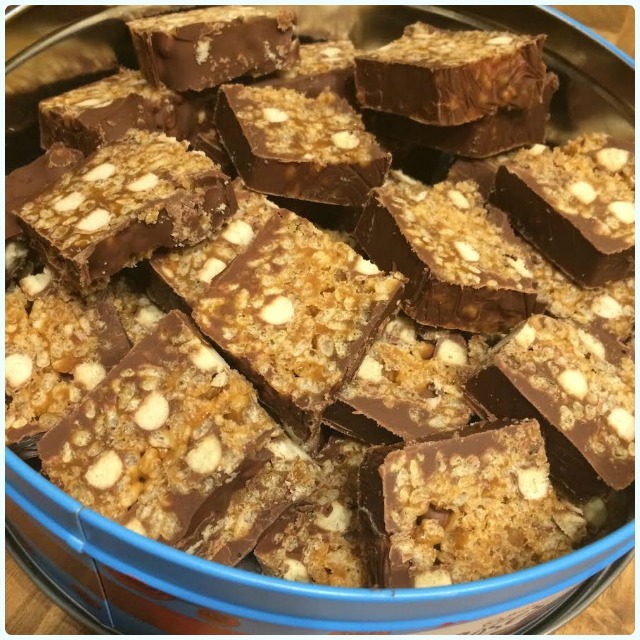 I can imagine it would be more popular with people ordering tiffin for lunch, rather than those wanting a sit down meal, but it's great to have a healthy option available too. Disclaimer: This was a press evening run by Scene. We were given samples of the food from the new menu, and were asked for our honest opinion throughout the evening. 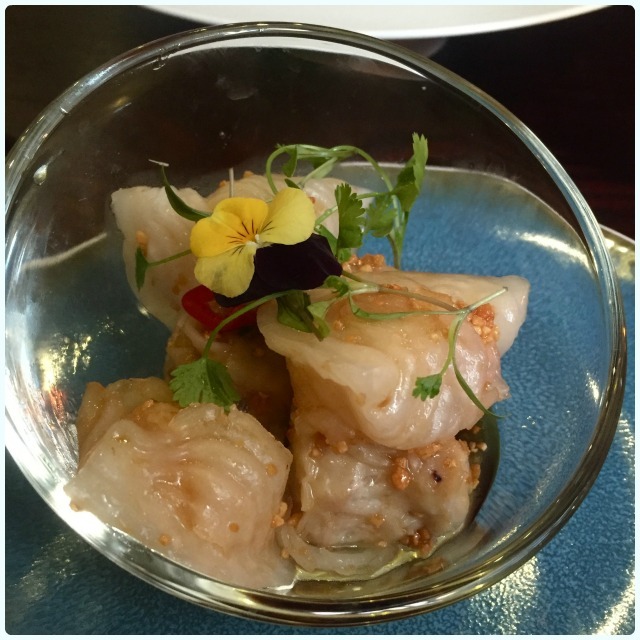 Chaophraya seems to have been around forever, and was certainly part of the Manchester dining scene long before the Northern Quarter got its facelift, and Spinningfields was even a glint in Tim Bacon's eye. I think it got a little lost in the 'foodie' (hate that word) explosion that happened after around 2011, when names like Solita and Southern Eleven started to dominate Manchester dining, everyone wanted either burgers or pulled pork, and a tribe of bloggers began to emerge from their back bedrooms (guilty). Fine dining was dying off in favour of 'down with the kids' pop ups, no booking policies, and restaurant Twitter banter. There they stayed, quietly waiting, dormant. I'm only a recent convert to Thai food, but I'm now fully embracing it. I think my first experience was some dodgy gaff in Bolton where the staff were rude, and the other diners were ruder still. That ended badly. Chaophraya's a world away from that terrible night. We were greeted like friends when we arrived, despite never having set foot in the place before. It certainly has a wow factor, the large doors concealing a beautiful reception area which is not visible from the street. Our welcome included introductions to the front of house team, Thai crackers with a sweet chilli dipping sauce, and some beautiful cocktails. Whist we waited for our starters, one of the managers came over to explain how the new menu had been created, including many trips to Thailand, of which I was immensely jealous. 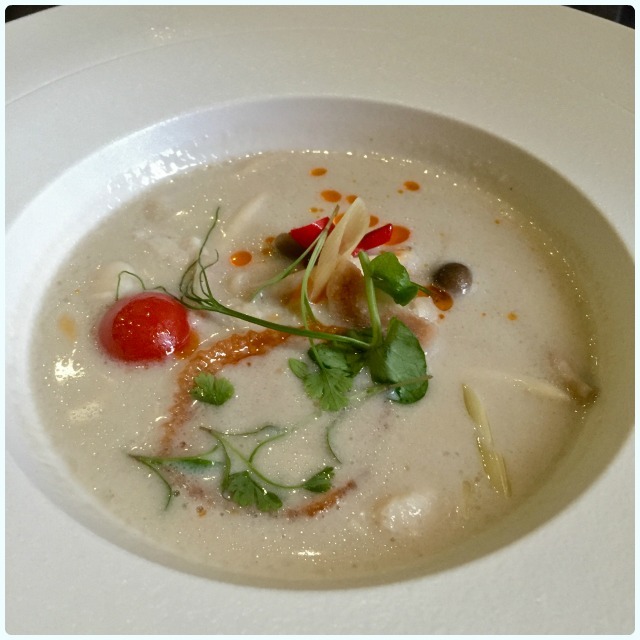 Mushroom tom-kha soup (Tom-kha het) - An aromatic Thai soup with enoki and shimeji mushrooms with galangal, lemongrass, chilli and kafir lime leaves: One of the stand out dishes of the evening for both of us. If you're not a mushroom fan, worry not, as this is very delicate, and tastes nothing like your standard fungus. Steamed dumplings (Ka Nom Jeeb) - Assorted prawn and pork dumplings steamed and topped with fried garlic and a sweet soy sauce: I love dumplings. Despite the fact I used to hate prawns with a passion, these have become one of my favourite Thai dishes. They add a delicate sweetness which works fanatically with the salty soy sauce. Thai chicken tacos (Taco Gai) - Red curried chicken finished off with coconut milk and served over lightly pan-seared rice flour tacos: Yes, they're very pretty, but they also taste remarkable. 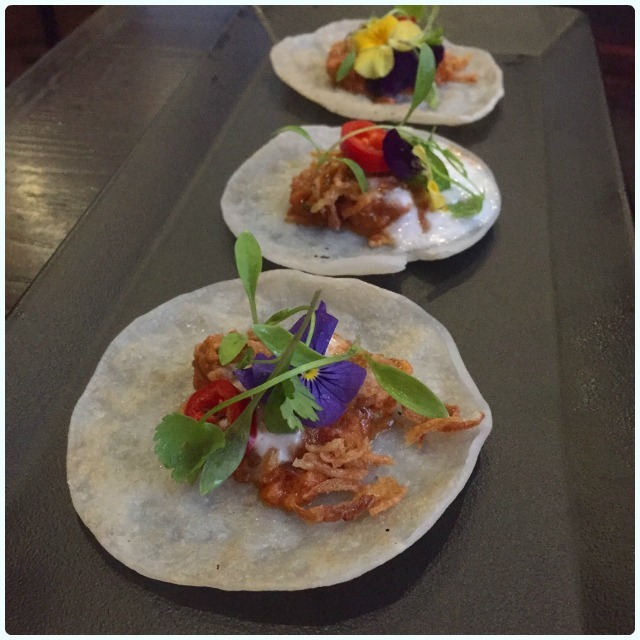 They are just like the Mexican kind, only with the signature Thai flavours you would expect. Loved these. 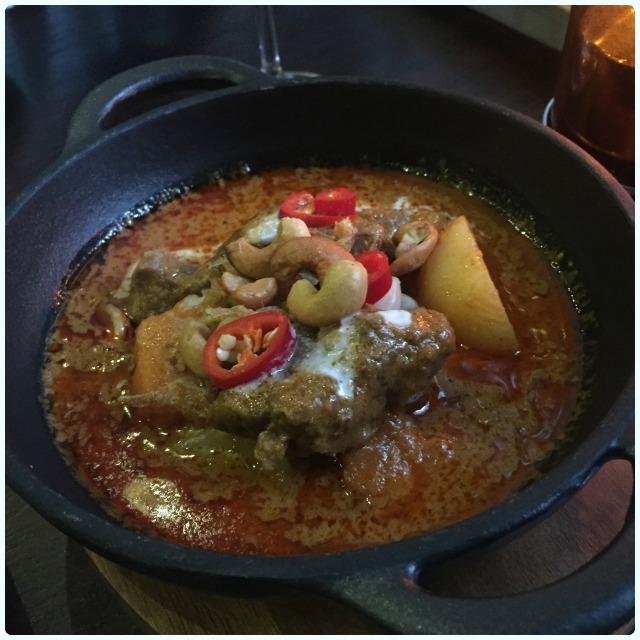 Massaman lamb curry (Massaman Gaeh) - Pieces of tender lamb stewed with massaman curry, coconut milk, carrots, potatoes and baby onions, topped with cashew nuts: Massaman curries are one of my new favourites because of the sweet cashews. This was a lovely, fragrant curry, but it was a little overshadowed by the other main we ordered. 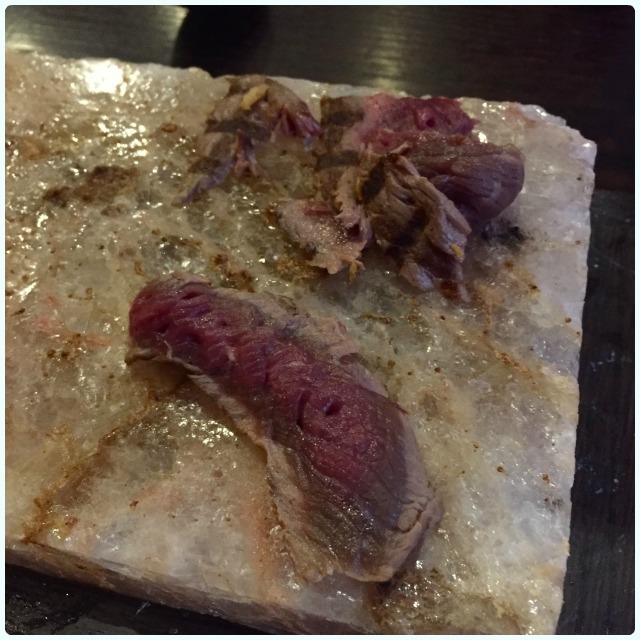 Chamber aged sirloin steak (Nua Sirloin Yang) - 8oz sirloin steak cooked at your table on a Himalayan rock salt block. 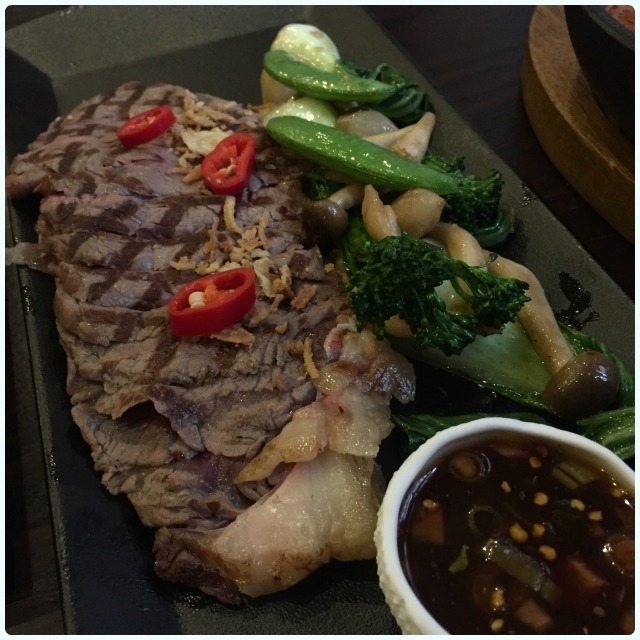 Served with a tangy chilli dip alongside stir-fried shimeji mushrooms, onions and Bok choy: Seared on the outside before it's brought to the table, the steak is then finished off Raclette style on a hot block of pink Himalayan salt. I like my steak really rare, so this did not take long at all! I like a bit of theatre with my food. 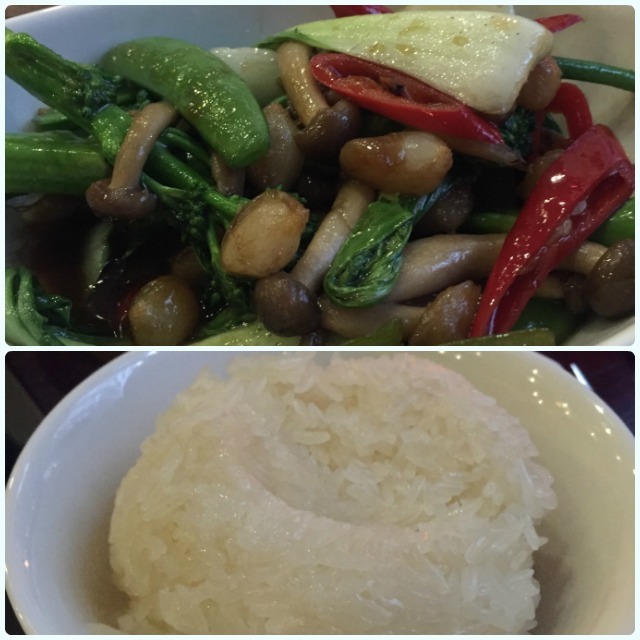 Sides - sugar snap pas, mushrooms and tenderstem broccoli and sticky rice: I adore the crunchy vegetables served with Thai food, and the fact they aways add red chilli, which is either sweet or will blow your head off; you never quite know which one you'll get! Sticky rice is the only type I ever order because I love it so much. This was slightly overdone and was a little hard in places, but they were forgiven, because strangely, I quite liked it. Desserts don't generally appear to be the strong point in Asian cuisine. I'm thinking Funky Pie at every local Indian I've ever been to, or basic 'three scoops of ice cream' at some Thai places. No, no my friends. 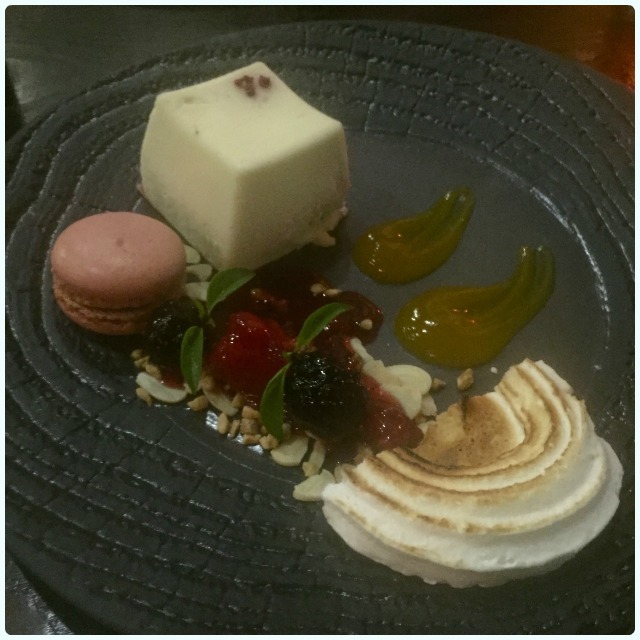 The desserts we had at Chaophraya were some of the best I've had in Manchester. 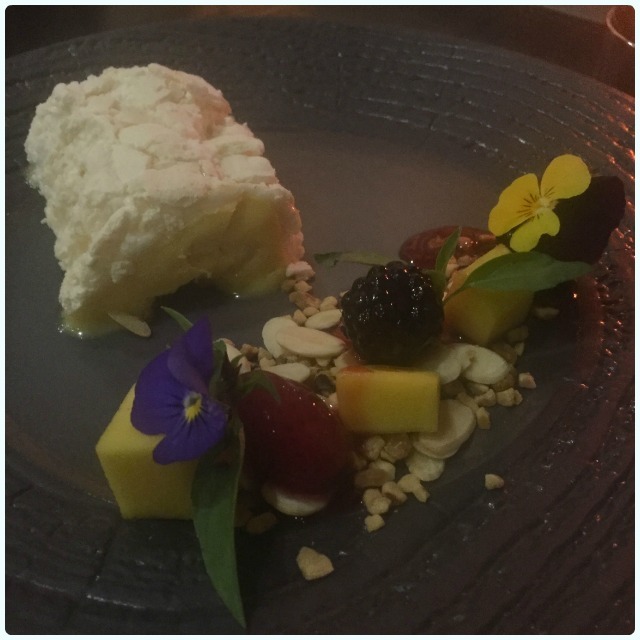 Mango meringue roll - A light Alphonso mango and passion fruit meringue roll served with Thai Mango and roasted almonds and lightly caramelised strawberries: So delicate, every flavour and texture were considered, and presentation was just perfect. The tang in that mango with the sweet meringue was heaven. I just need a Viennetta sized portion. White chocolate box - White chocolate mousse with raspberry coulis on butter shortbread served with a mini macaron and passion fruit syrup: I love white chocolate, some say a little too much. So many elements, which were just perfection. A chewy macaron, that shortbread concealed beneath that moulded chocolate, and the tiny leaves placed 'just so'. Who knew? What a wonderful evening we had at Chaophraya. Not only were we treated to the most fantastic of feasts, but I can't leave you without mentioning quite how lovely the staff were too. Our waitress was very sweet, and described every element in painstaking detail, despite struggling with her English a little (I can't speak a work of Thai so she immediately put me to shame), and one of the front of house chaps was keen to tell me what to try next time, with such infectious enthusiasm, that I'm already looking forward to our return. Go to Chaophraya for a real treat. 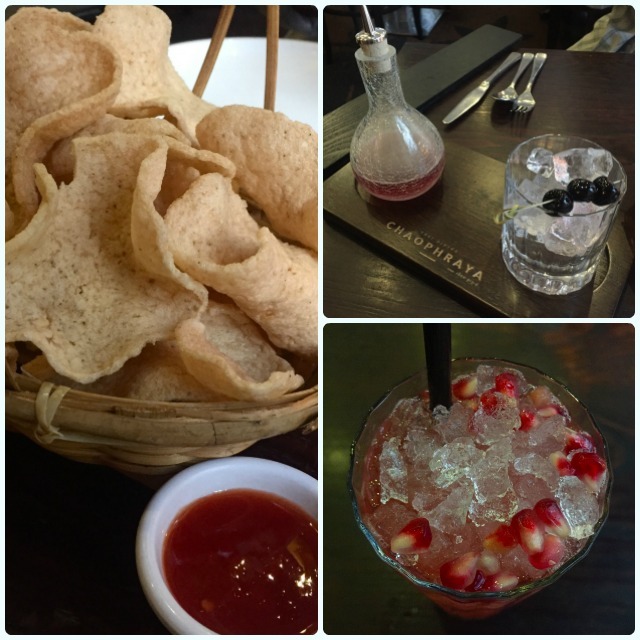 Disclaimer: I was invited to Chaophraya to sample their new menu. I was not asked to rave about their roulade, or indeed get so excited when my food came served with flowers. Excitement - blogger's own. I'd heard a lot about this little place. One of my work buddies had been telling me all about it, so I was dying to see for myself. Nestled in the heart of Prestwich, Nonsense is one of the new kids on the block, who promise to revive Bury New Road. Although there are a number of established eateries nearby (notably Slattery, Cuckoo, All the Shapes and Solita), at first glance, I think Nonsense might be doing something a little bit different. 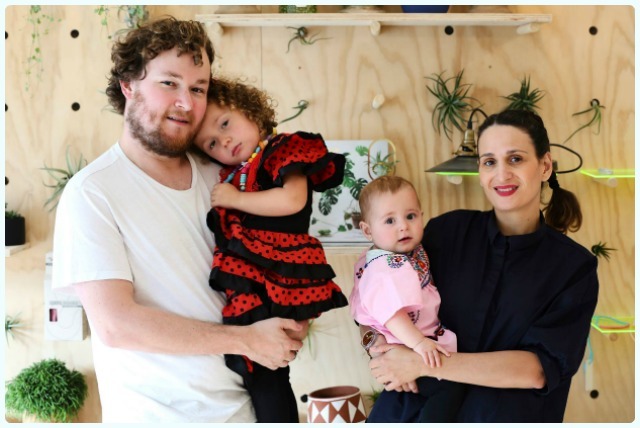 Owners Alex and Jeanette are having a bash at living the dream; running their own business, where they can bring the kids to work, doing something they both love. Alex appears to be running the coffee house side of proceedings, whereas Jeanette is busy creating pieces of art to sell in the shop at the front. 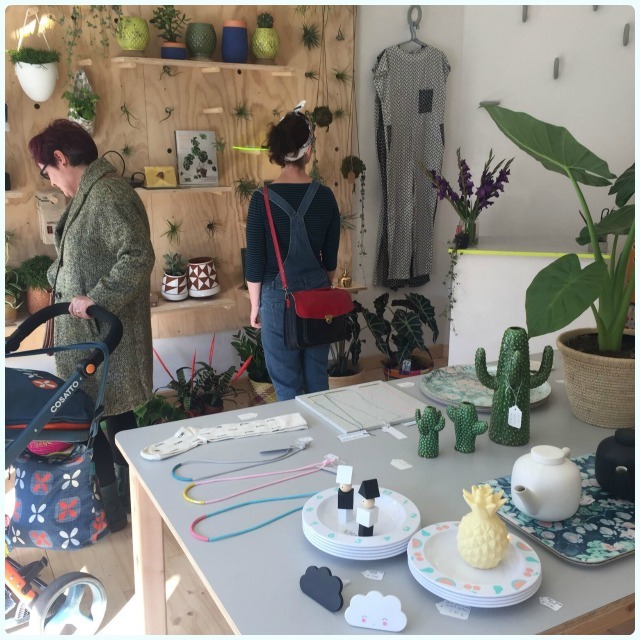 We were lucky enough to visit on a rare sunny day, which flooded the shop with natural light. 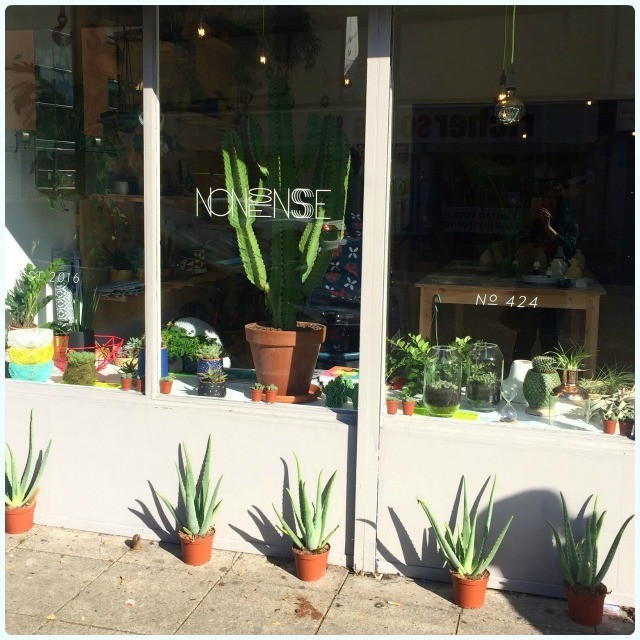 Seems to me like they love cacti at Nonsense, which I have to admit, I became a little fascinated with whilst perusing the goods. It's filled with bizarre magazines, quirky jewellery and the kind of items I suddenly have the urge to buy for no specific reason. We absolutely loved the little pots some of the cacti were housed in, which appeared to be painted by hand. At the back of the building there are two smaller rooms. The first has a larger table with a chalkboard wall, which was a huge hit with the kids (reminds self never to let husband within a meter of this - cannot be trusted to play nice), and then a quieter room behind it. Families seem to gravitate towards the larger of the two, whilst the room we settled in was full of people just like us, enjoying a brew and having a natter. Despite being in a coffee house, neither of us are huge coffee drinkers, but it did smell outstanding. Alex promised me I would not be considered a heathen for snubbing it! Now I've seen at least one leaf on the ground, I am in full autumnal swing, therefore it had to be chai for me. No dusty teabags here. 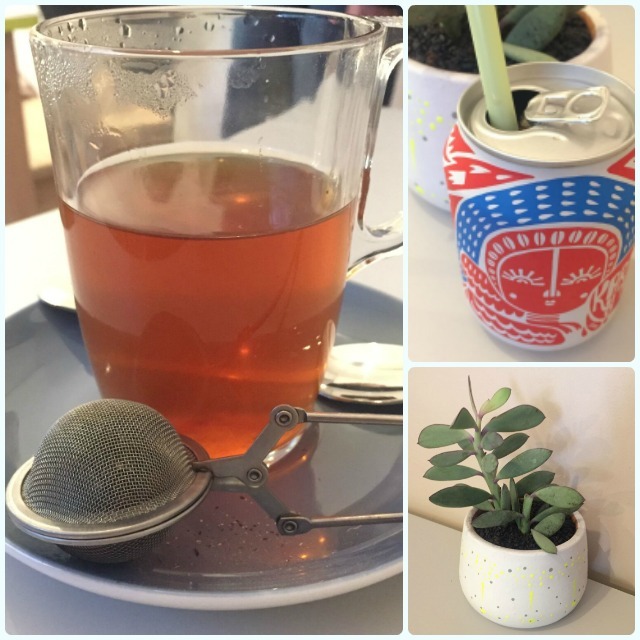 I was presented with a glass mug full of boiling water and a small strainer packed with loose-leaf tea. It's also worth mentioning that for those less adventurous tea drinkers, they have Yorkshire Tea! King of the standard tea bag in my humble opinion. Lee opted for the cutest can of coke I have ever seen, in fact, she had two. Although Nonsense don't do food as such, they do offer a lovely array of simple snacks, but the kind that go perfectly with the drinks they offer. There were a number of bakes to choose from, including a rather interesting looking brownie, but I was sold on sourdough toast when I heard that legendary bread-makers Trove were supplying the goods. 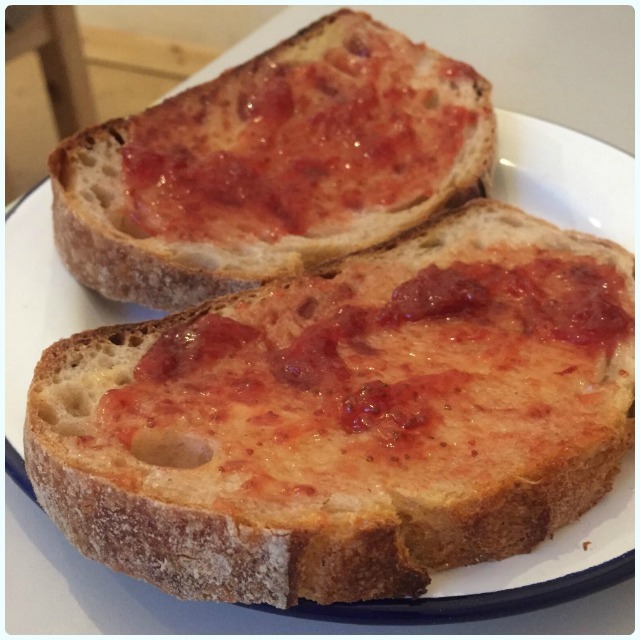 No exaggeration, best toast in the west - possibly beyond. Simplicity at its very finest if you ask me; soft bread with tonnes of flavour, a firm crust, salted butter, and jam the WI would fawn over. Loved it. I'm as confident as I can be that I could snaffle two rounds with ease (then followed by a little whinge about my own gluttony perhaps). It's early days for Nonsense, but it's looking very promising indeed. Space is somewhat limited, but in the future I'd like to see a slight expansion of the food on offer, perhaps bagels or crumpets, and a wider range of baked goods. However, they seem to be achieving what they have set out to do. When I visited, the gift shop was buzzing, and the seated areas were full of families and friends having a chilled Saturday afternoon. Plus, what's more inspirational than a family quitting everything to follow their dream? Good luck to them. Disclaimer: The folk at Nonsense had no idea I was visiting to complete a review, and I paid for our refreshments. They have not asked me to say nice things about their cacti, and my toast received no special treatment. Ah my friend Anna, mad as a dog in a bungalow. Fiery, colourful, and covered in tattoos, she's my kind of girl. 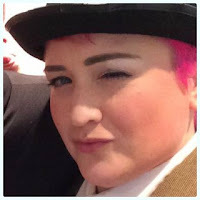 A master practitioner in the realm of 'that's what she said', Zumba teacher, and ex-burlesque dancer; there's very little that this lady can't turn her hand to. Why was I not surprised when she added baking to her repertoire? I was having 'a morning'. You know the type, where nothing is particularly occurring, yet still you feel the need to punch someone square in the face. I was making a brew in an attempt to medicate, when in waltzed Clive (that would be Anna), who promptly thrust a golden square of joy into my hand. It was like crack. Yes, it looks good in the picture, but you cannot truly grasp how amazing this stuff is until you try it. And there it was, I pretty much demanded on the spot that she remake it and promptly do a guest post. Luckily, this excitement was reciprocated, and here we are! Dolly asked me to do a guest post about this ultimate sweet treat, and who am I to turn down such a request?! I made this recipe up after a friend brought home something similar and I could not bare the thought of not having it in my mouth again. To earn some traffic to this post, I could tell you I was cooking it in my underwear (Clickbait, OH HA HA), but the truth is, it is a soggy old nursing crop top, since I was multi tasking and dyeing my hair at the same time. And cooking a roast dinner, and trying to keep the children entertained (which is a little bit like herding cats, for the non parents among you). If I suddenly call for adding conditioning treatment or honey roast parsnips to the recipe, ignore me. Multitasking obviously is not going as well as I would have hoped. I digress. The recipe, maestro! Cover a loaf tin in cling film. Cover the base and sides with just over half of the chocolate, trying to ensure there are no gaps. Pop in the fridge to set. Melt the sugar in the pan, quietly cursing the previous owner of your house, who installed an induction hob. Historic attempts at melting sugar have not gone well. (Note: If you have an induction hob, keep the temperature low). Remember melted sugar reaches a temperature nearer the surface of the sun than anything else on Earth, so do not attempt to taste it, or hold your hand under the spoon to stop drips. When the sugar is completely melted and starting to caramelise, add the butter. WARNING: it will snap, crackle and pop more than the crispies, so keep the butter close to the pan as you add it. When the butter is completely stirred in, add the cream. Cook for a few minutes, until a drop of the mixture in a glass of cold water forms a ball instantly. Add the rice crispies to the caramel, and stir, stir, stir. Put 1/3 of the mixture on top of the now set chocolate, and flatten. 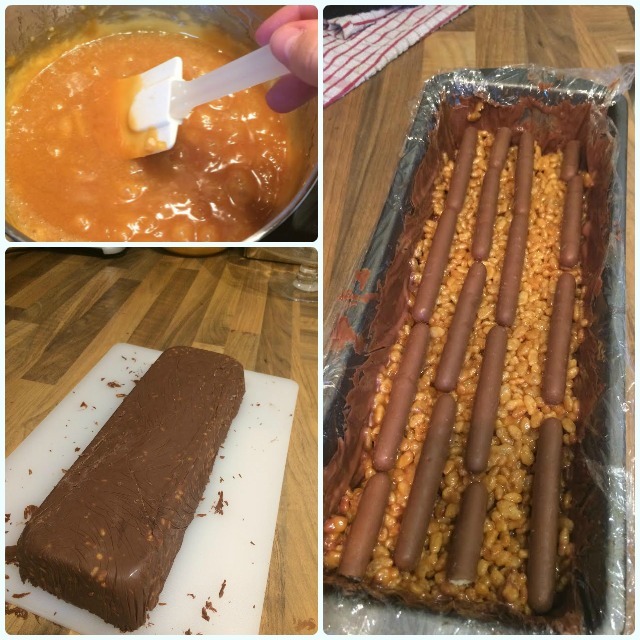 Add 4 long lines of chocolate fingers (my loaf tin fits 3 ½ fingers per line). Layer another 1/3 of the crispies on top, ensuring they are well spread (that’s what she said). Repeat the 4 long lines of fingers (I used approximately 1 ½ packets. This of course depends on the placement of your fingers). Add the last 1/3 of the crispie mixture, and then cover in the remaining melted chocolate, fully covering the crispies, and joining up with the chocolate on the sides. Place in the fridge for 2-3 hours, or until completely set. Put the loaf of happiness on a cutting board and remove the cling film. Cut it down the middle lengthwise, and then cut each half into 16 pieces (I also cut the corners off, but let’s be honest here, that was just an excuse to scoff). Put the little squares into a tin, and keep in the fridge. Serve with Hasselback potatoes, a selection of green veg, and gravy (NO WAIT, that was the roast dinner. Just eat them. As they are. At least 4 at the time). No on has been able to answer how long they would actually last in the fridge, each time I have made them they have been gone within 36 hours. 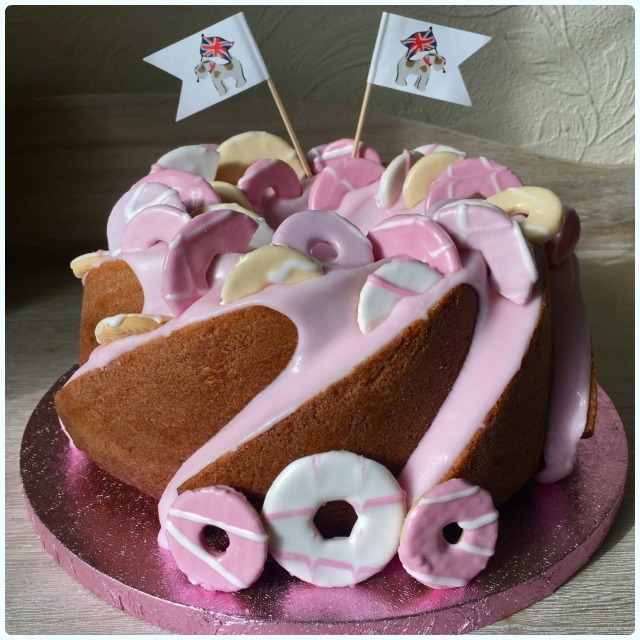 A massive thank you to Anna for sharing her fantastic creation! Much excitement surrounded the upcoming 'sausage dog party'. There were lots of questions from friends at work, a purchase of sausage dog socks, and even baking of bone shaped dog biscuits. Lady Darbyshire was about to turn one, and believe me, this was never going to go unmarked. Let me tell you about Lady. She's a miniature dachshund who lives with my good friends Dan and Emma. Loved wherever she pootles, Lady is quite the hound. She has her own Instagram account, collects fans from far and wide, features on the logo of her mum's business, and once weed on my foot. She is part of a merry sausage tribe, one of whom is her brother Fritz, who lives next door but one. All her pals came to the party too, my favourite being a sparky little fellow with wiry fur by the name of Charlie. How can this possibly get out of hand? Our famous last words (to quote Alan), were 'It must not, repeat not, turn into an all-night rave'. 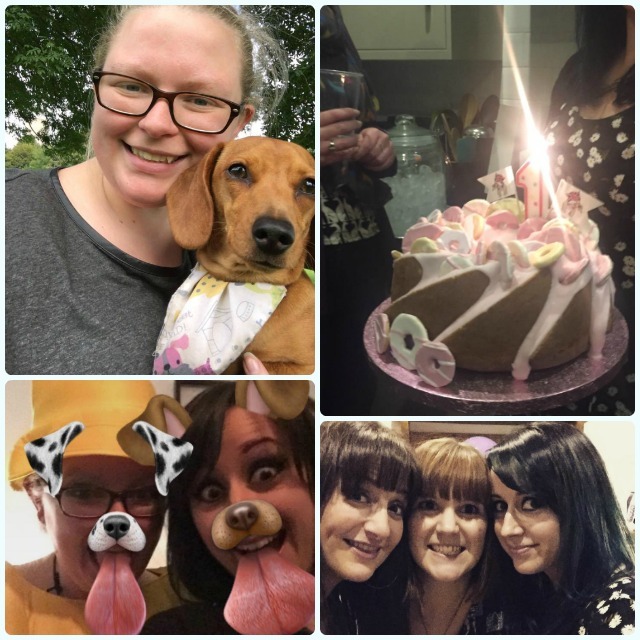 Seven sausages in total, a killer playlist, a crayon outfit, enough gin to preserve about 20 people for 200 years, the best flapjack known to man, and a buffet fit for kings, queens and four legged friends - it was carnage. We left about 1am, one of our number was at a woeful 18 on the chest tightness chart (possibly made up), another was sick in wheelie bin, and the shower needed a damn good scrub the day after. Anyway, there ain't no party without Party Rings, so it somehow seemed right to do something overly pink and girly for our Lady. I give you, the Party Ring Bundt. Add the blitzed up Party Rings, stirring until just combined. Remove about 1/4 of the batter, and dye pale pink. Pour 1/3 of the standard mix into your prepared tin. 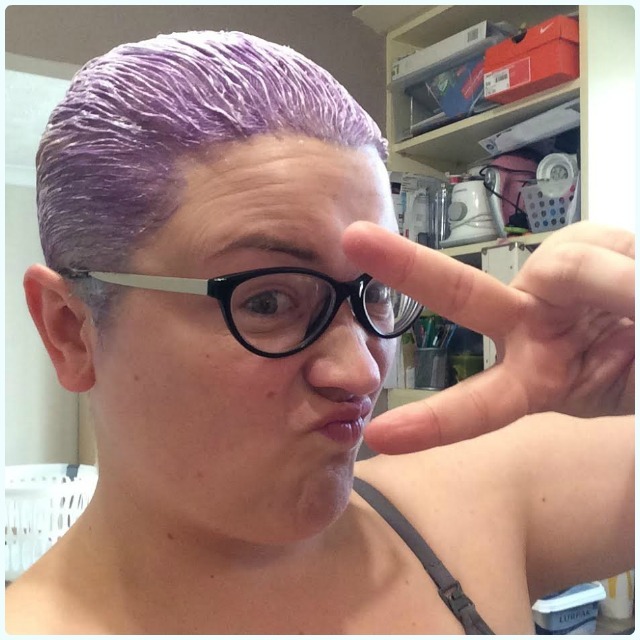 Top with half of the pink mix. Repeat this, ending with another layer of normal batter. This will give you two pink stripes. 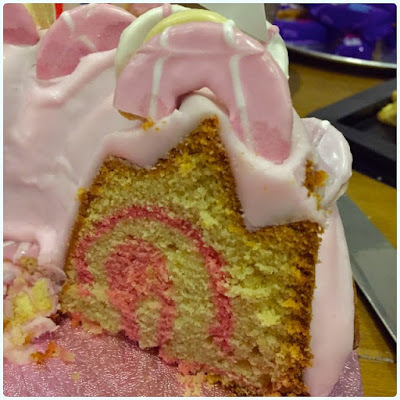 When completely cool, mix the icing sugar with enough water to make a thick but still runny icing, and again, dye pink. Tip it over your cake. Who would have thought it hey? Westhoughton are in the Good Food Guide; the actual one, not the Bolton Journal's version. 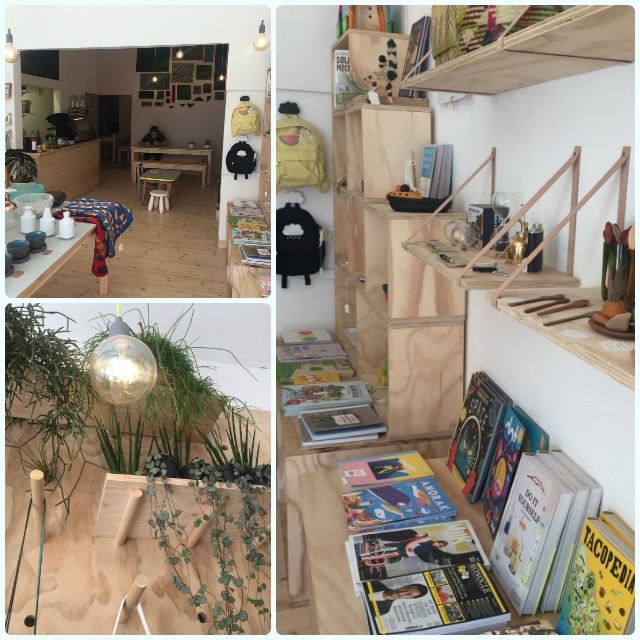 Provenance have only been open for a year, so this is pretty impressive work. To be fair, you only have to walk through the door to see they mean business. 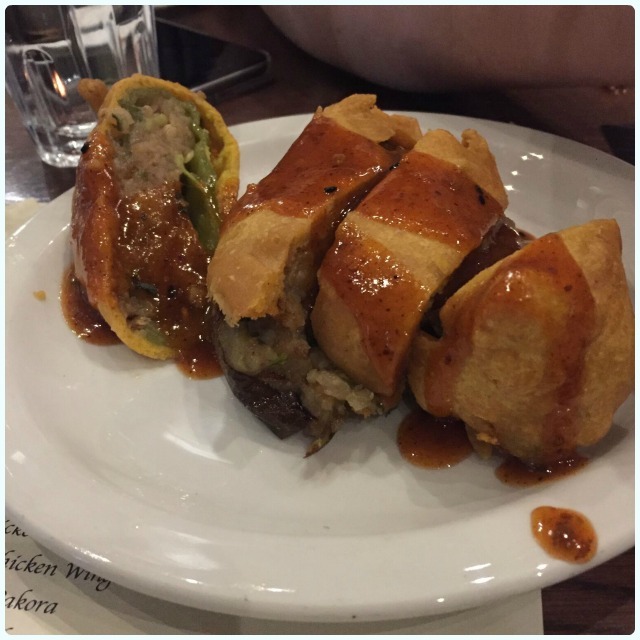 I went when they first opened (see my Sunday roast review), and was hugely impressed by the quality of the food, attention to detail, and stunning food hall. 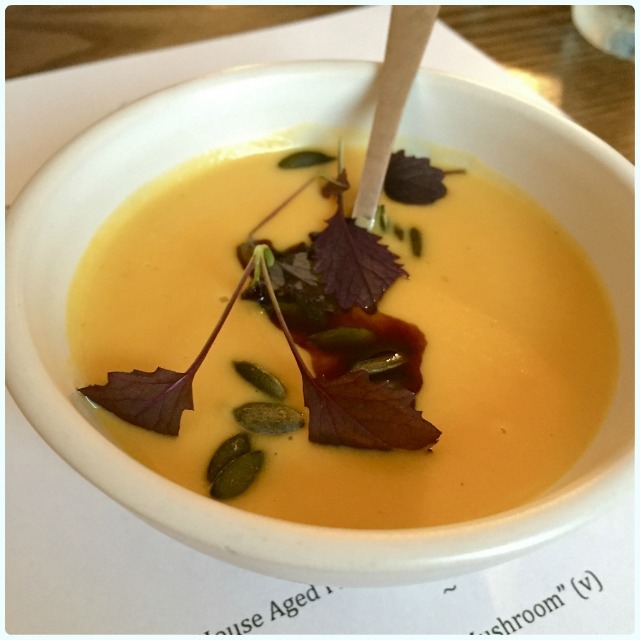 I went along a couple of weeks ago to try the new seasonal menu, which was explained in detail by head chef Lewis Gallagher. Anyone who listens to Lewis speak about his food will soon realise this is a labour of love, and despite being awarded the Acorn Scholarship by the Caterer magazine in 2013, and the North West Young Chef of the Year in 2012, he's a humble chap who was quick to thank and praise his team. Nice lad. So down to the good stuff. We were there to try out some of the team's new creations, including a few festive tasters. What do you mean it's too early for all that? I'm sat here drinking Christmas tea my friends. What made the whole thing a little odd was the fact it was really warm outside, and still felt very much like summer. However, it mattered not when the canapes arrived. 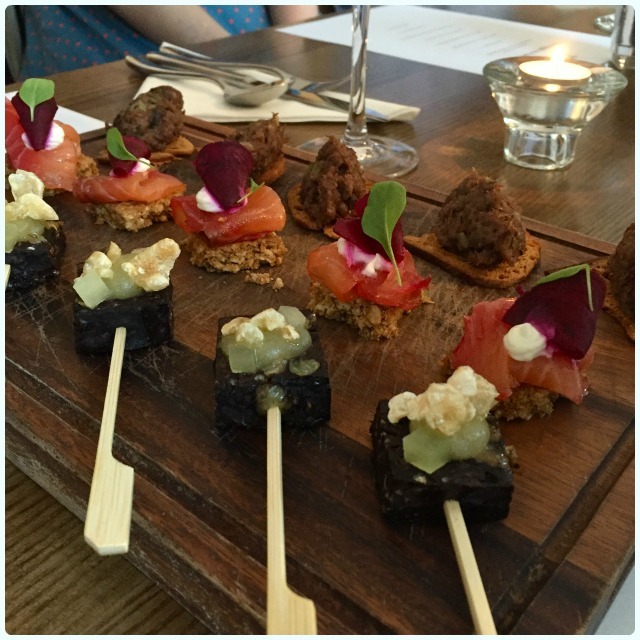 Canapes - black pudding with apple and crackling, smoked salmon and beetroot on a homemade oatcake, and game crispbreads: How pretty are these? Although very different, they all consisted of beautifully presented, seasonal produce which tasted like a dream. My favourite was the black pudding with the tangy apple. Pumpkin soup: Call me boring, but this was my favourite dish of the evening. I'm already wondering whether I can recreate this myself. It was everything I love about the colder seasons; warming, spicy and comforting. Scallops, cauliflower and Granny Smith's apples: Now I'm no longer a fish hater, I thought I'd give this a go. I was massively surprised that I loved it. I often have difficulty with the texture of scallops, but the caramelised, pan fried top meant that they had a bite to them that was just lovely. 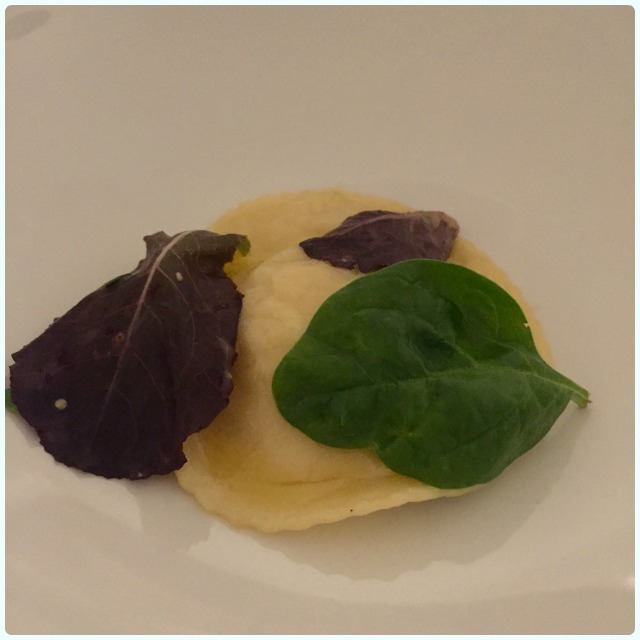 Ravioli of truffle and Jerusalem artichoke: I can't eat truffle, gives me migraines. I'd mentioned it, but here it was. Happy accident if you ask me. It didn't smell overtly truffly, so I ran with it. I'd only have myself to blame if I ended up with a numb face, seeing stars. Minor numbness later on, but Hell's teeth it was worth it! 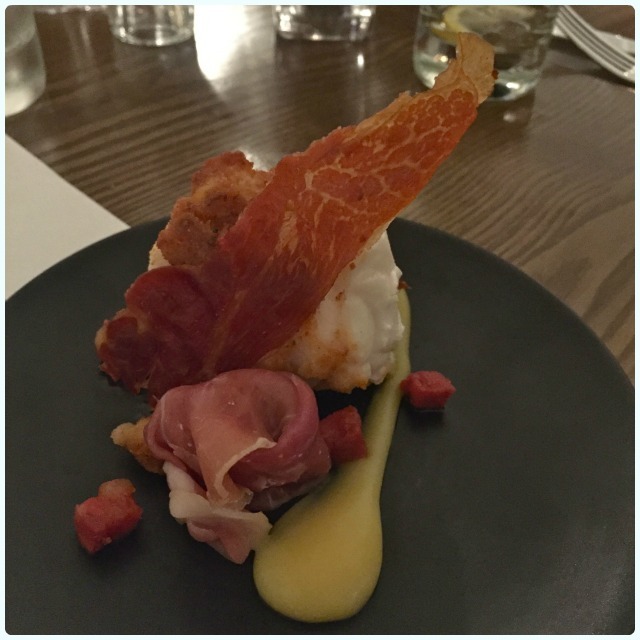 Monkfish, ham, chorizo and lemon: Another stand out dish. A perfect plate of complementing textures; crisp ham, firm chunks of chorizo, and of course that delicately cooked monkfish. All around the table agreed that this was magnificent. 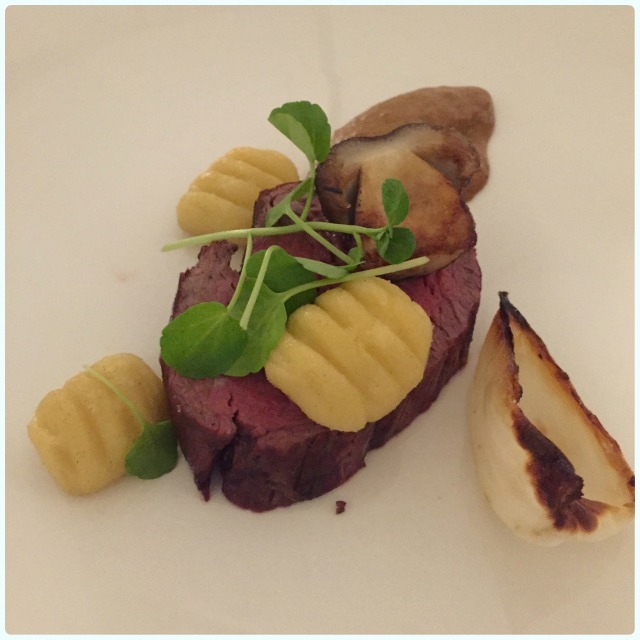 In house aged fillet of beef with onions and mushroom: Look at the colour on that beef. Lewis spoke proudly about the process of ageing the meat in house so they can 'get it just as we want it'. Cooked in a water bath and seared on the outside, the texture of this cut of beef screamed quality. Chocolate mushroom: Caused quite a buzz around the table, this one. We'd had it a few weeks previously at the Bolton Food and Drink Festival Gala Dinner too. It's a mixture of chocolate textures, including the most delicious meringue and ice cream. I'm not a huge fan of chocolate desserts, but this wasn't heavy at all, and the perfect antidote to so much rich food on a hot evening. 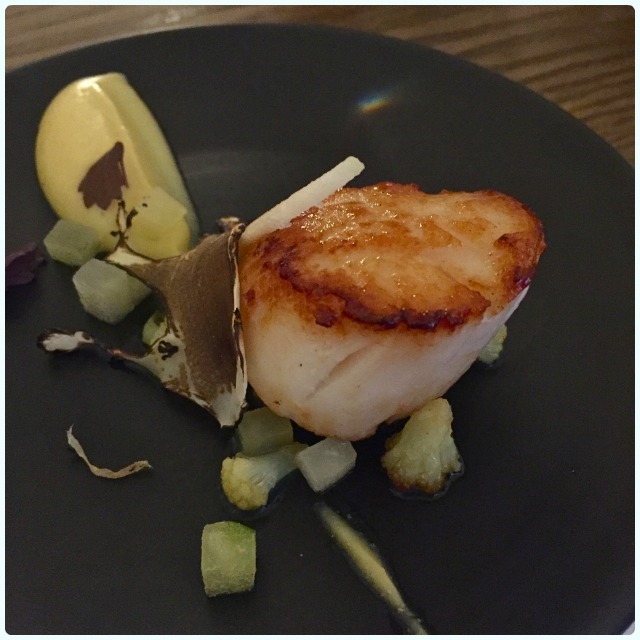 General consensus around the table was one of shock that somewhere as unassuming as Westhoughton could attract such an impressive kitchen team, producing food worthy of being featured in the Good Food Guide after just a year of trading. 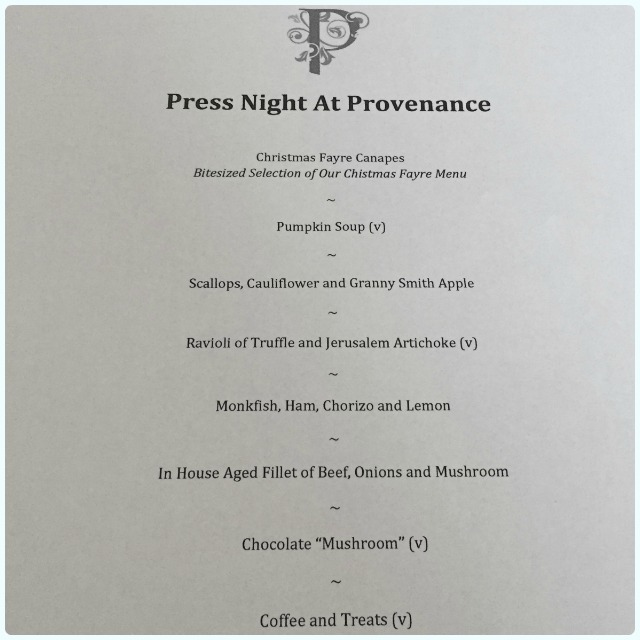 I urge you to go to Provenance. It's not all about the fine dining either, they do less formal lunch menus, afternoon tea, and even breakfast. 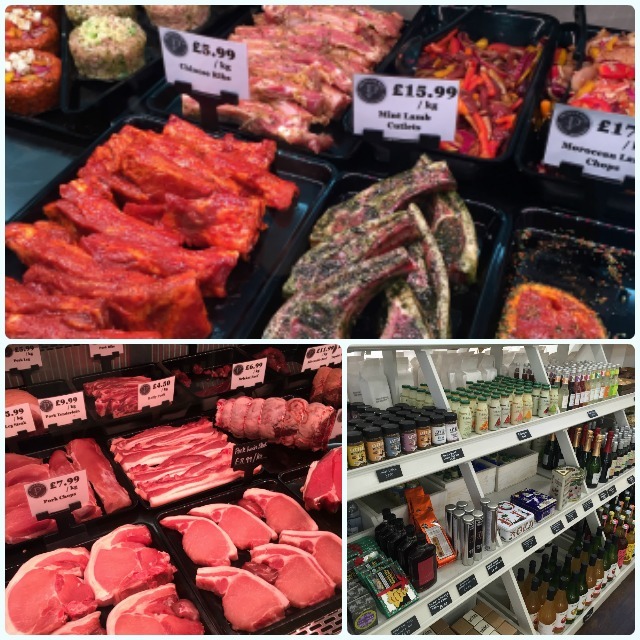 They also have some cracking midweek deals, like Tuesday steak night, which includes your choice of steak and a large glass of wine, beer, or a soft drink for £10 - bargain! A lovely place run by a wonderful bunch of people with a real excitement for the task in hand. 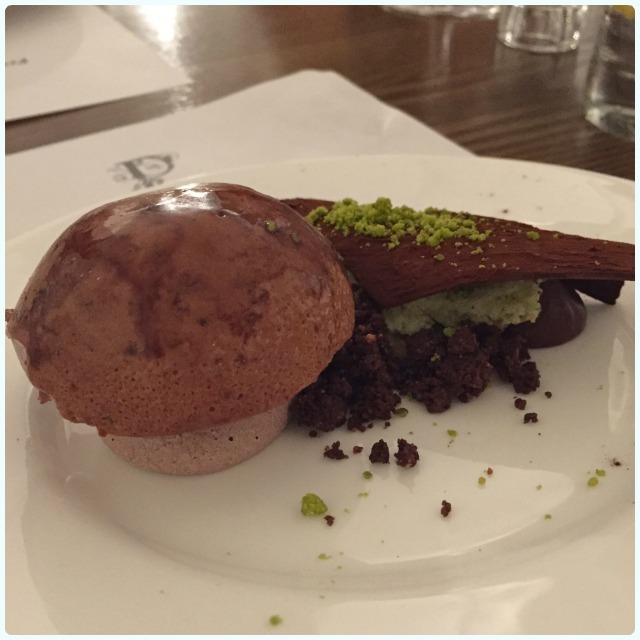 Disclaimer: This was a press evening where we were asked to sample the new seasonal menu. I wasn't asked to say nice things. I'd already been as a paying customer, and will definitely be doing so in the future!